You can earn 27 yards with this purchase! 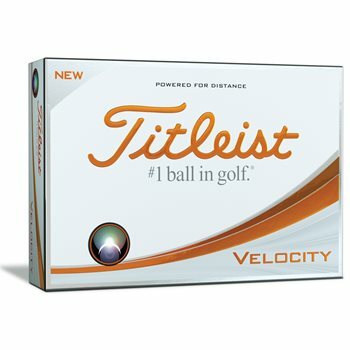 The Titleist Velocity golf ball features deep down range peak trajectory, explosive distance and delivers fast initial ball speed on all full swing shots as well as responsive feel on the short game shots. The Velocity golf ball utilizes LSX core technology to produce a high-speed core encased in a NaZ2 ionomer cover construction with a new spherically tiled 328 tetrahedral dimple design for a more penetrating ball flight. It also features a high-visibility A.I.M. sidestamp (Alignment Integrated Marking) that assists in alignment off the tee and while putting. It is available in both single and double digit numbers.